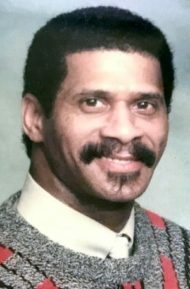 Randolph Marion Dixon, 70, of Lancaster entered into rest after a lengthy illness on January 29, 2019. Born in McBee, South Carolina he was the son of the late Mae Ella Dixon and raised by his grandparents, the late Dave and Carrie Thomas. Randy was a man of great faith. He was a member of Ebenezer Baptist Church in Lancaster, PA. Randy retired from FlexSteel Industries after 44 years of service. His favorite hobbies were bowling, and playing shuffle board. He loved cooking and cleaning his car while blasting Gospel music. Randolph is survived by 3 children: Bianca Johnson, wife of Jerry Johnson, Deirdre Sexton and Randolph Sexton, husband of Fatima Sexton; 11 grandchildren: Jeriyah, Jerry Jr., Jasiir, Shakinah, Randi, Kiersten, Raijon, Haveanel, Paige, Xavier and Cameron; 4 great-grandchildren; 4 siblings: Shirley, Nallie, Seberena and Lander; Uncles and Aunts: Rev. James Thomas, Laverne Thomas, Rufus Thomas. Rosa Mae Hinton and Carrie Mae Ewell. He was preceded in death by 3 siblings: Rickey, Reuben and Ella Dixon. Home Going Services will be held at 12PM on Saturday, February 9, 2019 at the Ebenezer Baptist Church, 701 N. Lime Street, Lancaster, PA 17602, with the Reverend Roland Forbes officiating. Friends and family will be received from 10AM to 12PM prior to the service. Interment will follow at Mellinger Mennonite Cemetery. So sorry for your loss. Msy God give you peace. Randy was a great friend to many. You were loved by many including myself. I’d like to say Thank you uncle. Rest In Peace. Randy was a great brother in law,blessing and prayer to the family and to my niece Deidre and nephew Randy . My heart is saddened to hear this. May God give your family peace in the time of sorrow. My condolences to the family may God continue to bless your family. Sorry for the loss in our family. The Thomas family will miss you Randy it have been a long time that we have seen you but you will always be our family and we will miss you always. May God be with the family. Sending our deepest sympathy to the children, grandchildren, aunts, uncles, family, friends and church family. Certainly Randy loved the Lord and continued to praise God as he became ill. But no more sickness, just love, joy, peace in Jesus! God is our refuge and strength! so sorry for your loss sis.. Your in my thoughts and prayers..